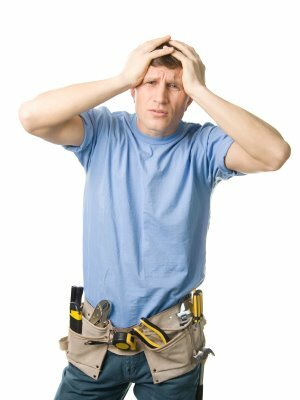 When your heating and air conditioning system runs into performance problems, you might consider attempting a DIY repair, rather than hiring a contractor for HVAC repairs. Here are 4 reasons NOT to attempt your own. With that in mind, it’s fair to say that you’ll probably make some mistakes if you try to attempt your own HVAC repairs. You can’t expect to get a complex repair right the first time if you’ve never done it before. It’s only natural to mess up a time or two before fixing it properly. The problem is that every mistake you make will cost you time and money. So, while you might think you’re saving money by attempting your own HVAC repairs, you’ll likely end up spending more than you would have had you just hired an HVAC contractor from the beginning. Working on a heating and air conditioning system typically requires special tools, and depending on what needs to be repaired, you may need certain replacement parts as well. Do you really want to deal with the hassle of buying the tools you need and ordering the spare parts for your HVAC system? It’s so much easier just to have an HVAC specialist do everything for you. An HVAC contractor will have the tools needed to work on your system, and they’ll be able to locate the parts more quickly and easily than you’d be able to. HVAC problems come in all different types. Your system could need anything from as simple as a new filter replacement to as complex as a major part replacement. As a DIY repairman, it could take you quite a long time to figure out exactly what it is that’s causing performance problems from your heating and air conditioner. A professional HVAC serviceman, on the other hand, deals with all types of repairs on a daily basis. An experienced contractor has seen every type of problem imaginable, and they can quickly diagnose what’s wrong with your HVAC system, saving you time, money, and a whole lot of frustration. You’re not an experienced HVAC contractor, so you can’t expect to quickly and easily repair your HVAC system like a contractor can. You’re learning on the job, so it’s going to take you some time to fix whatever it is that’s wrong with your heating and air conditioning. Like the old saying goes, time is money. Do you really have the time to devote to working on your HVAC unit? Wouldn’t you rather save time by having a professional do the hard work for you? Learn more about HVAC Denver at sandersandjohnson.com.